Home Cross Training For Runners Are You Making These 5 Running Shoe Buying Mistakes? Whether you’re a beginner runner or an elite athlete, having the right pair of running shoes is a must. Plantar fasciitis, shin splints, blisters, black toenail, and annoying foot pain, are some of the issues shoddy shoes might be to blame. But with so many options, finding the best-fitting pair for your feet and running style can be tricky. In today’s post, I’ll share with you the main mistakes that are often made when purchasing running shoes as well as what to do instead. 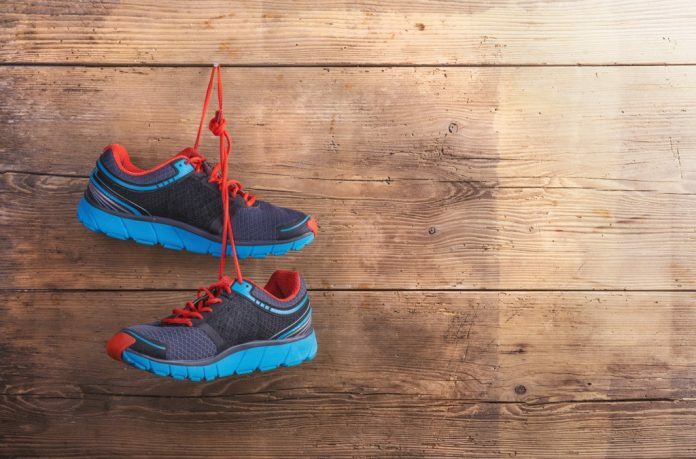 Just like the many mistakes you can make while running (I’ve listed a few here), you might be guilty of making these blunders while looking for and choosing your next pair of running shoes too! If you think you know your foot size because you feel you’re in the right size sho, hear me out first. Your foot size isn’t cast in stone. It’s common for the feet to grow in length and width for various reasons: increased training volume, age, weight gain, consistently wearing a wider or bigger shoe, and pregnancy. Having a condition, such as rheumatoid arthritis, as well as hammertoes or bunion can force your joints to swell, may result in bigger foot size. To make things more complicated, sizing sometimes varies between brands, and often even models of the same brand. So just because you’ve had success with a size 7, New Balance doesn’t mean you’re going to fit in size 7 Nike. Have both feet professionally measured at your local running store. The staff at a running specialty store use the Brannick device, which is a handy device that offers a more accurate reading as it measures the width of the foot as well as the length of the arch. Another mistake many make is buying shoes based on how they look or because a friend or a famous social media influencer swears by them. They often go for a pair of shoes that look cool, but usually, end up in the wrong shoe. When getting running shoes, ignore the colors and judge the shows by the way they make your feet feel. Think fit, feel and function, not fashion. Your running shoes are a performance tool, not a fashion statement nor a social approval stamp. Don’t fall for the trends. Although you might be thinking that you’re saving up money, getting your shoes from a generic sports shop can be a mistake. This is especially the case if you don’t know what type of shoe works the best for your feet and running style. Head to the nearest running specialty store, where your running style and gait will be assessed to find the best shoes for you. These stores will run an in-depth analysis of your foot and running style to help you find the perfect pair. Sure, the prices may be a tad higher, but it’s worth the extra buck. This may sound like far a stretch from the truth, but there’s such a thing as the best time of the day to get a new pair of running shoes. It’s in the evening. The feet begin swelling in the morning, and they don’t stop until roughly 5 p.m. The result is that a pair of shoe that felt right at 10 mp might be too tight come 7 pm. Not only that, the increased blood flow thanks to the high impact and intense nature of running, result in a slight swelling of the feet, especially as you increase mileage. You want running shoes that fit well—not too tight nor too loose—throughout the day, so buy them later in the day. This is especially the case if you do lots of standing all day. To err on the side of caution, go for a pair that ‘s half a size larger than your everyday casual shoes. Too many runners hold onto their running shoes till they’re well past their prime. Over time, even the best and most expensive runners shoes will break down in structure, cushion, and support. This happens regardless of what you do in the shoes, whether it’s running, weight lifting, playing soccer, hiking, or shopping. 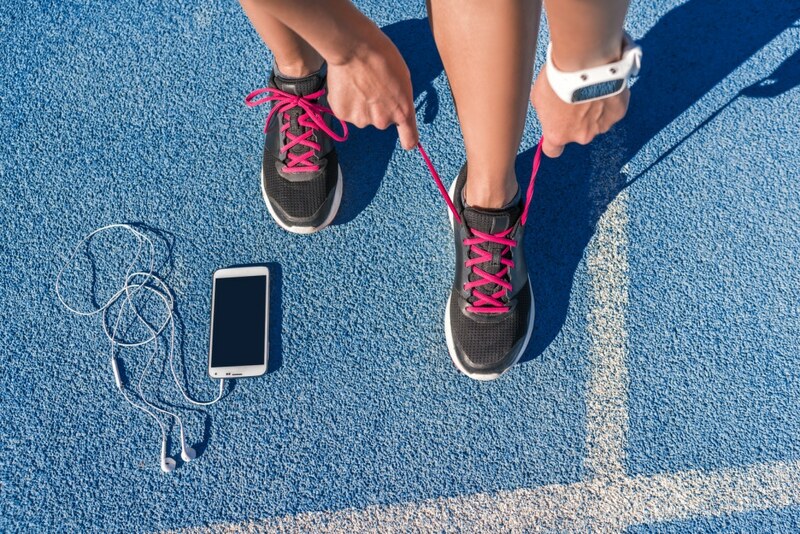 Replace your running shoes as soon as they show signs of overuse. As a rule of thumb, look for a new sole-mate after six months of wear. Do not keep your shoes for more than 400 to 500 miles—or longer than six months. Keep in mind that factors, such as training intensity, body weight, foot strike position, etc., can influence the number of miles and lifespan for any given shoe. Here’s your full guide to when you need to get a new pair of running shoes. Running shoes are meant to offer support and cushioning as you run. If you’re guilty of any the blunders above—and we all are at some point or the other—it’s time to head to the nearest running specialty store and get unstuck from your old ways. Making these running shoe mistakes can result in potential issues for your lower limbs, but now you know what not to do. In the meantime thank you for reading my post.